19-07-2018: Is This a UFO Pictured Flying in The Sky Above Leeds, Yorkshire? Is This a UFO Pictured Flying in The Sky Above Leeds, Yorkshire? This was nothing like I have seen before." Those are the words of Leeds resident Mick Glossop - who took these pictures of a flying object above his home in East Leeds standing at his front door one evening. 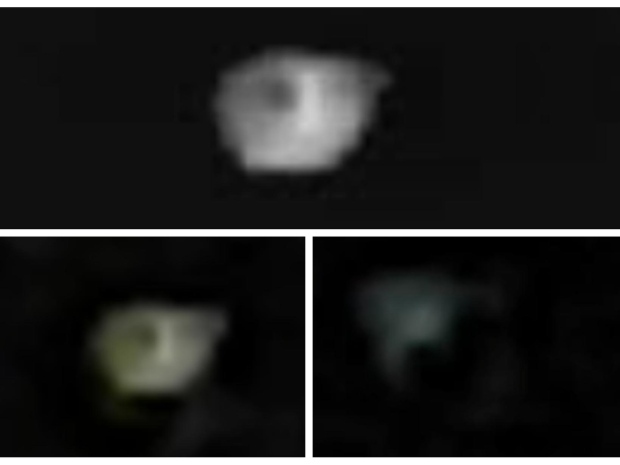 The images, which were taken on the evening of Thursday, July 19 just before midnight, appear to show a bright light in the sky. Mick, 52, saw it from his front door after being called by his son to take a look. "This object was moving as if under control," Mick told the YEP. "This was like nothing I had seen before. He says the object looked as if it was moving towards the Seacroft area of Leeds. "I have no idea what it was, but we live on the flight path to Leeds Bradford Airport and know from where aircraft appear and approach," Mick added. "I'm also familiar with the lights on aircraft at night." Leeds has been a hotbed for sightings of UFOs - unidentified flying objects - for many years. In 2017, a Leeds man captured footage of a mysterious object seen flying over the skies of the city - while earlier this year an unidentified flying object was reportedly seen in Leeds, making headlines in a national newspaper.